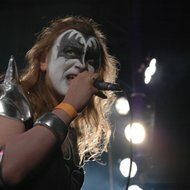 The Lithuanian rock scene would be incomplete without the hard rock aces Povilas Meškėla and his band Rojaus Tūzai (Aces of Paradise). Taking part in most of the seminal rock gatherings and annual bike shows, the band seems truly indispensable. 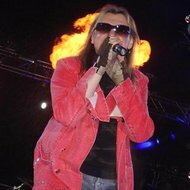 The Western rock legends Whitesnake have even selected Rojaus Tūzai as the opening act for their concert in Lithuania themselves. The band’s studio activity is no less successful, with four rather diverse, yet equally praised albums to date. Apparently, however, Meškėla and Rojaus Tūzai are not content with concerts and albums alone. They further demonstrate their versatile vocal and musical talents in rock operas and metamorphoses of classical music. 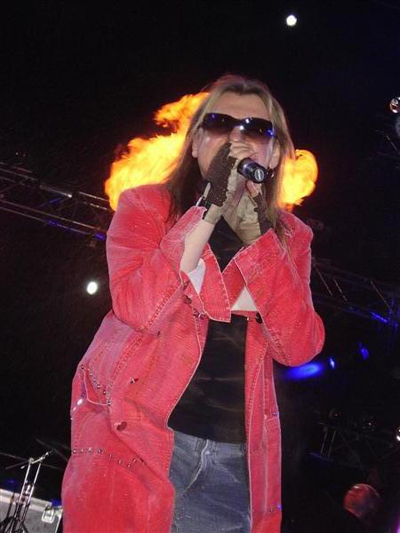 In 1986 Povilas Meškėla started his musical career (lead vocal) at hard rock band KATEDRA. 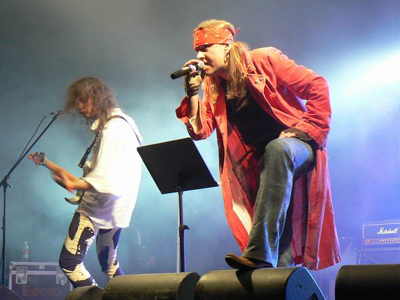 In 1990 together with Romas Rainys, Rolandas Buidovas and Neglendas Peciulka founded the band ROJAUS TŪZAI (Aces of Paradise). 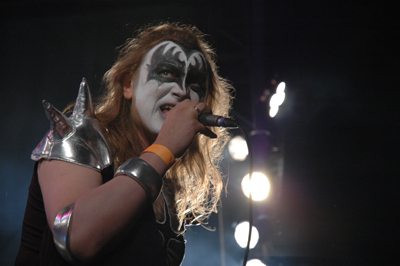 Later band’s line-up changed not once but all musicians were highly professional – Loreta Motūzaitė, Robertas Griškevičius, Linas Būda, Lolo, Dmitrij Zaborskij and many others. 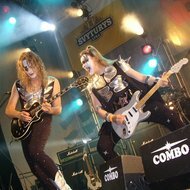 For the first time the band played in the festival “Sopot ‘92” in Poland and in 1993 was released the first band’s studio album “Vodk’N’Roll”. 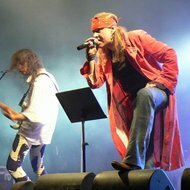 In 1994 Aces of Paradise participated in Ventspils Rock Festival (Latvia) and was awarded Grand Prix; they played also in “Liepajas Dzintars” festival (Latvia) and Lithuanian live music festival “Music Hotel”. 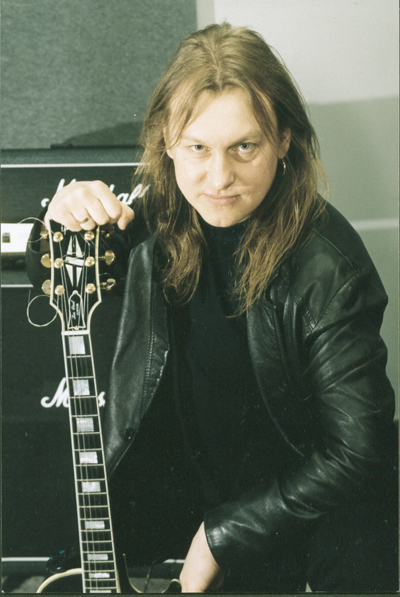 In 1995 the band was joined by Dmitrij Zaborskij, talented guitarist from Sevastopol (Russia). 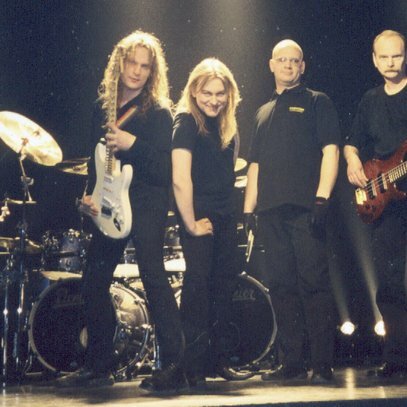 In 1996 the band participated in the largest Lithuanian youth music event – “Rock March” and shortly was released their second studio album “The Real Sound”. Same year Povilas Meškėla performed Romeo role in “Love & Death in Verona” production (director Eimuntas Nekrošius, composer Kęstutis Antanėlis). The show was presented also at the international theatre festivals in Poland and Germany. 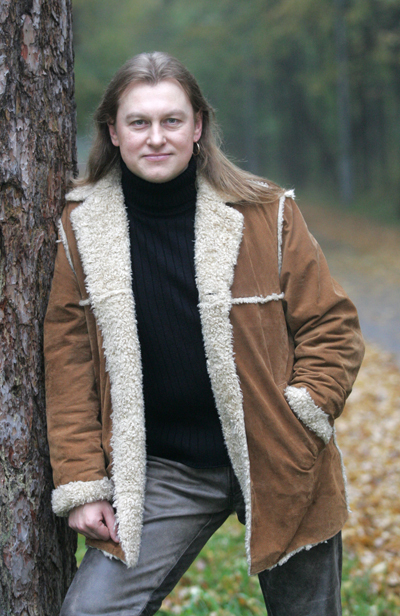 In 1997 Povilas performed Peer Gynt role in rock opera “Peer Gynt”, Swedish – Lithuanian production (authors – Kęstutis Antanėlis and Arūnas Navakas) and was awarded “Bravo-96” statuette as The Best Vocalist of The Year. In 1999 was released the band’s single “The Moth”. At the same year Povilas participated in the New Year Eve concerts together with the Lithuanian opera singer Irena Milkevičiūtė and the Lithuanian State Symphony Orchestra conducted by Gintaras Rinkevičius. In 2000 was settled down present Aces of Paradise line-up. The band was joined by probably the best bass quitar player Andrius Daugirdas and two creative and promising musicians – Tomas Varnagiris (guitar) and Salvijus Žeimys (drums). Aces of Paradise participated almost in all top musical projects in Lithuania: “World Classical Metamorphoses” (1999), “Rock Classical Metamorphoses” (2000), “Love Classical Metamorphoses” (2002), “Snow White and the Seven Dwarfs” (2002), “Classical Diversions” (2003), musical “Devil’s Bride” (authors – Vyacheslav Ganelin, Sigitas Geda), folk mystery play “Lightening Flowers” (with State Song and Dance Company “Lietuva”, 2004) and many others. The band is frequent guest in the most popular live music club “Brodway” and every year participates in “Brodway Music Awards” ceremony. Aces of Paradise twice is awarded „The Best Rock Band” (2001) and “The Best Rock Vocalist” (Povilas – 2004). In 2001 the Band released their third studio album “Russian Album” with Russian romances and arranged Russian folk songs. After listening to this album, Algirdas Latėnas, well-known director and actor, proposed Povilas and Aces of Paradise together to make a performance based on poetry of a great Russian poet Sergei Yesenin. In this production the poetry in original interpretation of Algirdas Latėnas subtly and intimately integrates into Russian romances from “Russian Album”. The premiere of the performance took place on December 20th, 2006 at the State Youth Theatre and had an incredible success. “My Soul’s Not Ceasing Strings...” was included into Theatre’s repertoire in 2001-2003. In 2002 performance was invited to the Third International Theatre Festival “Rainbow” in Sankt Petersburg (Russia) and was awarded with Festival “Grand Prix”. At the same year “My Soul’s Not Ceasing Strings...” successfully was performed at the Seventh International Theatre Festival “Belaja Veza” in Brest (Belarus) and was awarded “Public Favourite Prix”. Povilas & Aces of Paradise supported legendary rock bands “Electric Light Orchestra” (Vilnius Palace of Concerts & Sports, 1998), “Def Leppard” (Vilnius Palace of Concerts & Sports 2003), “Robert Plant & The Strange Sensations” (Vilnius Ice Hall, 2005), John Lawton (ex Uriah Heep, “Rock Nights 2006” Plateliai). 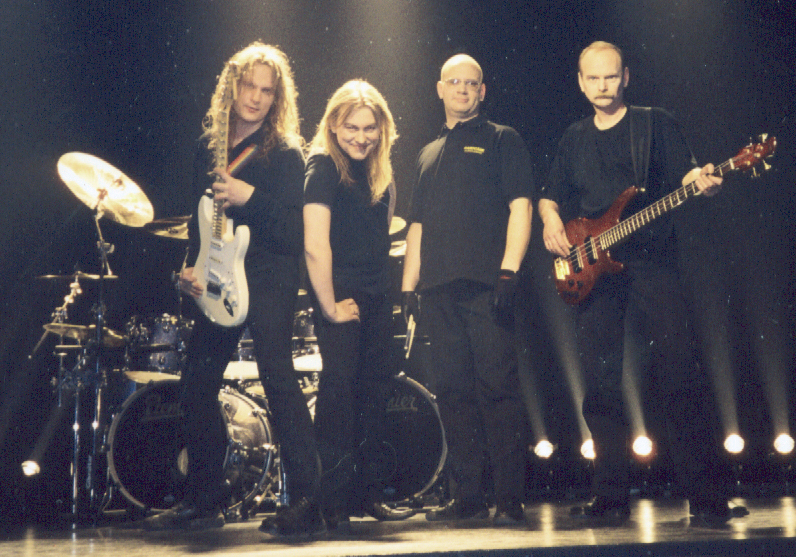 In 2004 the Band recorded their fourth album on a military theme, commissioned by the Lithuanian Ministry of National Defence. Same year the band was shooting a video clip for the song “I Wish To Know...”. 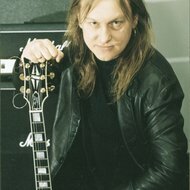 In the beginning of 2004 guitarist Dmitrij Zaborskij left the band. 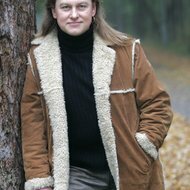 Fall of 2006 started with few absolutely new experiments: Tomas Varnagiris with Aces of Paradise played Antonio Vivaldi “The Four Seasons” in rock style. The project was successfully premiered during the Days Of The Capital City at Vilnius Cathedral square.